This was quality television. One of the times when escapist, mainstream television was shown as not needing to be mediocre (or lower). One of the big draws for me was the ambience of the world that it created and projected – that populuxe, sharp very late 1950s/1960s American styling, which was a kind of grown-up Mod thing but from over the other side of the sea. It was that ambience and its richness, the lushness, a vintage recreation/reimagining without grit or grain – Erwin Olaf’s Grief, Hope, Rain series of photographs brought to smoothly flickering, storytelling life – that stayed with me after the series. In honour of those aesthetics, here I gather a few of my favourite promotional related images that to my mind and eye seemed to summon up that world particularly well. 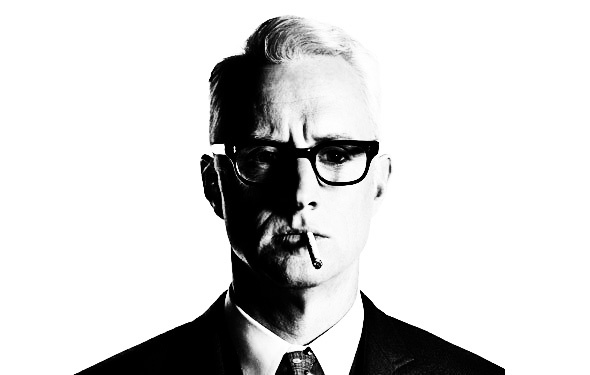 And why not a touch of Roger Sterling channelling Harry Palmer? As a postscript: Mainstream. Hmmm. It’s interesting how these things work. 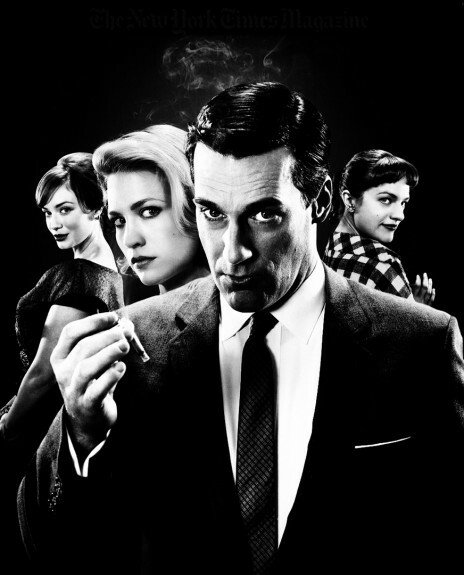 Mad Men conquered the world while Magic City, which shared some not dissimilar aesthetics was seen by relatively but a few. Visit tales of Magic City around these parts here.